This time, it's al fresco. Yes, after taking a break for the month of May, Magnificent Seven returns on Saturday, June 8th. That's just one week from today. From 6-11pm, we'll bring you tons of great music and art out on the Machinery Row patio (202 2nd Ave. S). $5 gets you in the door. Free food, full bar with ID. Even with the venue change, the show is still all ages. Plus! 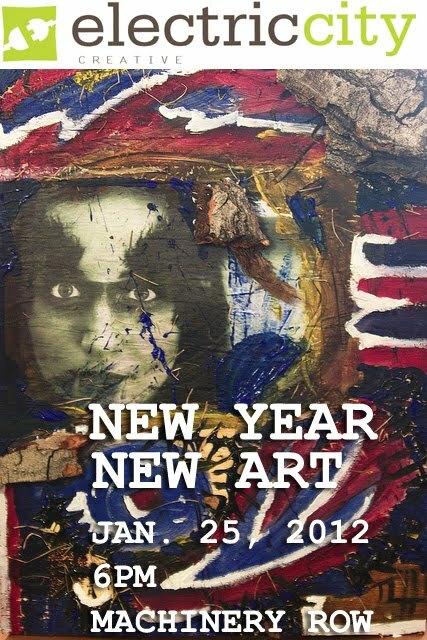 Art from Tyson Habein and Pablo Jara (of Level Up Tattoo) will be auctioned off during the evening. Plus-Plus! Come see local artists work on a collaborative art piece... and put in your bid. It'll be great fun, promise. PS: Don't forget that the next night, June 9th, come see Hey Marseilles play on the Machinery Row patio at 8pm. Tickets are $10 in advance and $13 at the door, and are also available to buy online. All ages. After long last! Greetings, all. If you are following us on Facebook or reading the Hot Ticket, you know that Electric City Creative has not been entirely inactive over the past year, despite the lack of updates on this site. What we have done is shift focus. Because you know that we are a staff of two (Sara Habein and Tyson Habein), our various other creative and professional endeavors have kept us from being able to properly devote our attention to even a quarterly magazine publishing schedule. Tyson is currently managing two musicians: Joe Ryan and Ryan David Johnson, in addition to working on his own art and poetry. Sara is writing for Persephone Magazine and Word Riot, as well as writing her usual book reviews over at Glorified Love Letters. She is also editing a novel. We also published a collection of flash fiction and photography, Infinite Disposable, last year. It is available for purchase through the Nouveau Nostalgia page and also at Powell's Books. Roughly 50 copies remain, so when they're gone, they're gone. So that's what we're doing personally. Under the banner of Electric City Creative, we have sent the magazine off to hibernate. We're not saying we'll never publish another magazine, only that it's on hold while we concentrate on community arts organization and awesome party-throwing. If you've been paying attention at all, you know we've started a new (nearly) monthly showcase: Magnificent Seven. 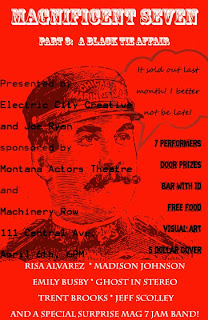 Sponsored by Electric City Creative, hosted by Joe Ryan, and with assistance from other local businesses, Magnificent Seven brings together (up to) seven different performers, a handful of visual artists, free food, door prizes and a bar (not free, sorry), all for $5. So far, the event has been at the Montana Actors' Theater, but with the warm weather approaching, we will be moving to the Machinery Row patio. The next Magnificent Seven showcase will be in June on the Machinery Row patio, as we use the month of May to regroup and make the transition. The showcase will still be all-ages. 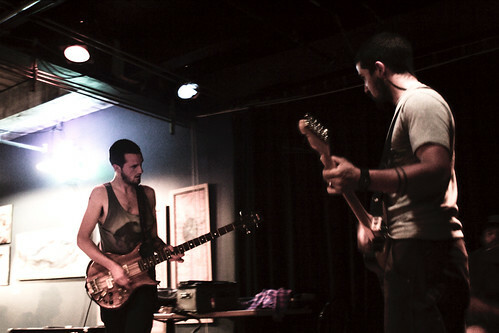 Past performers have included Dan Dubuque, Ryan David Johnson (once on his own, and once with drummers Evin Mitchell and Josh Wilkinson, under the name "Ghost in Stereo"), Jeffrey Scolley, Saif Alsaegh, Hell City Kitty, The Helligans, The Lucky Valentines, Madison Johnson, Emily Busby, Risa Alvarez, Joe Ryan with Melanie Hauer, and oodles more. We hope you are as excited as we are about the longterm potential of this showcase. We believe that by providing a variety of performers and pairing them with visual art, we can show the public just how much Great Falls has to offer, in addition to making all these different creative endeavors more accessible. Our original mission, even with the magazine, has always been to show that enjoying art isn't scary or necessarily high-brow, and that punk rock can co-exist with classical. So far, the response to our first three showcases has been good, and we thank you for coming. 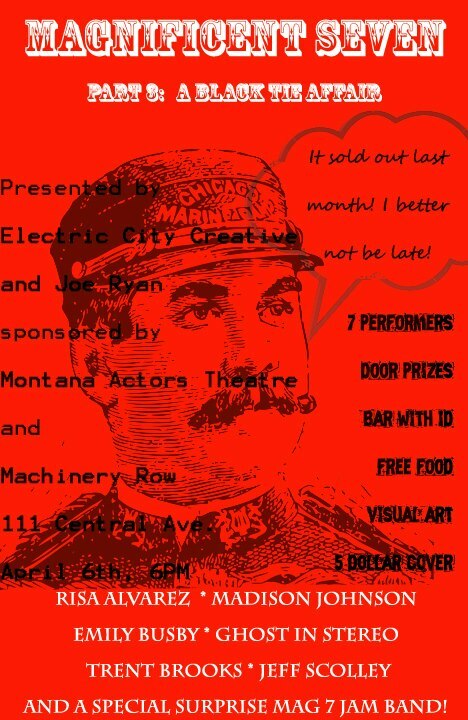 In other Electric City Creative news, we will also be presenting other events around Great Falls, outside of Mag 7. They might be poetry, music, art auctions, or anything else that strikes our fancy. We will let you know as they are scheduled. Because of all these different events, this site will be updated far more frequently as we try to keep everyone in the loop in as many promotional venues as possible. Be sure to follow us on both Facebook and Twitter (where our username is still @ElectricCityMag, but ElectricCityCreative is too long, so for now, it stays that way). The Facebook page will probably update more often, if we're honest. Thank you for your patience, and we look forward to seeing you out and about. Issue #7: ROCK MONSTER is here! Yes, after long last, we finally have a new issue, and it's a big one. - Contributing photographer Seth Dahl presents his photo essay, "Colorado River"
- In Liner Notes, Sara Habein reviews both Dana Jo Forseth's Driven EP and Jonathan Ravenscroft's self-titled debut. TIP FOR VIEWING: Because this is a PDF file, it can sometimes be slow to load online. For best viewing, right click and 'Save link as' to your computer. It looks better viewed in Acrobat anyway! Also, don't forget to RSVP for the Infinite Disposable book release party. It promises to be a lot of fun. Think you can't afford to buy art? Are your walls looking a bit uninteresting? Do you like discovering new things? SAY, we can help you with that! 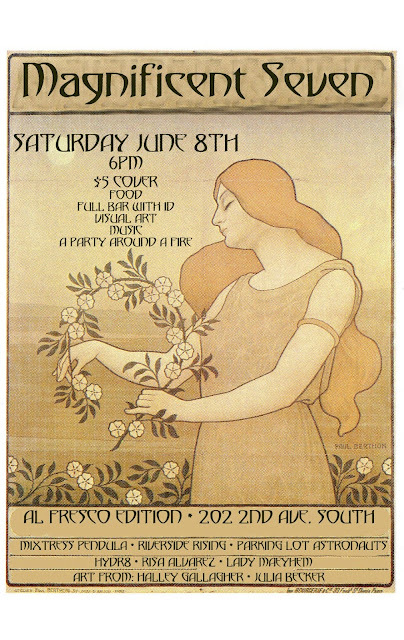 Electric City Creative is hosting another art party, this time a silent auction featuring work by Great Falls artists. Minimum bids are starting very low, so everyone has a chance to go home with something great. And who knows what sort of extra goodies we'll have going on. Turn up and find out. Bidding starts at 6pm and we'll have drink specials all night. Under 21? That's all right, too. Come have a soda and put in a bid. No cover. Shortly before 9pm, we'll announce the high bidders for each work of art, and then the night transitions into Machinery Row's regular Open Mic Night, which always promises a good time. If you haven't been to Open Mic before, now is the time to check it out. Regular performers include Joe Ryan, Dana Jo Forseth, Ryan Johnson, Jonny Ravenscroft and more. It's a fantastic night of music. You know you want to come. Tell your friends, come see some spectacular work, and enjoy the tunes. See you there. Oh man, we know. We know calling this issue "Summer 2011" is awfully strange when it is published one day after Labor Day. Yes, technical issues preventing timely publication were everywhere, but behold! Issue #6: BUILD is finally up and ready for your viewing pleasure. - Tyson Habein interviews regular participants in Machinery Row's Open Mic Night, featuring Gabriel Vasichek, Josh Wilkinson, Dana Jo Forseth, and Joe Ryan. 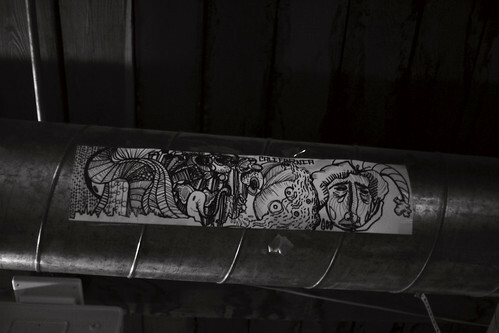 - Tyson also goes under the gun at Level Up Tattoo, featuring the work of Pablo Jara. 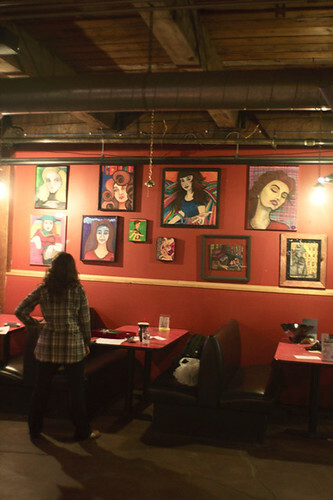 - We've got your First Friday Art Walk coverage, including work at McMillan Studio, Montana Actors Theatre, Four West Art League, and Warehouse Square. - Sara Habein reviews Miss Sloan's debut album The Good Ship Clairvoyance in this issue's Liner Notes. Check it all out HERE. For the best viewing experience, press Ctrl+L in Adobe Reader for the full-screen, double page spread. The print edition will be available through MagCloud soon. We will let you know as soon as it's ready for purchase. Our next issue will be out in November. Thanks so much for reading. Our advertising rates will be changing soon. After June 20th, our rates will be increasing, but if you would like to purchase advertising at the current rates, please email us before then. 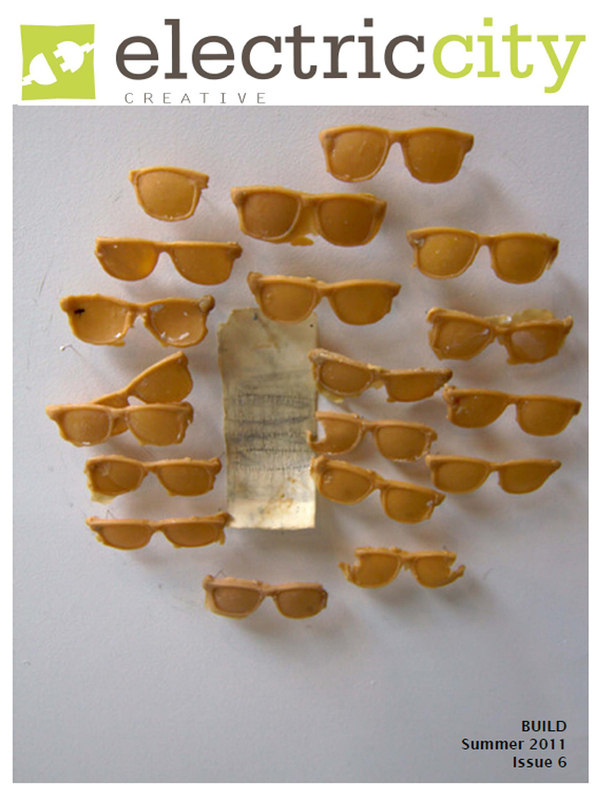 Art Party + Group Show Roundup! 10 am on May 20, we met up with GOO, Butchard M, Rachel Kaiser, Halley Gallagher and David Mariani Jr. to set up for our party at Machinery Row. Since everyone had done other shows before, the process of finding the right wall space and the actual hanging went fairly quickly. 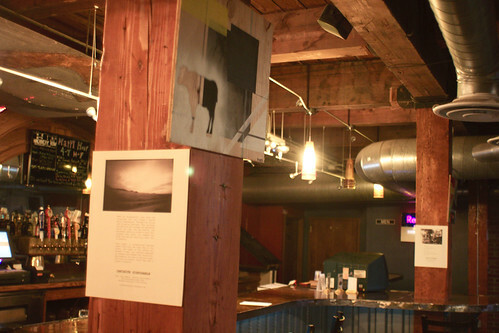 Also, a big thank you is due to Tim Peterson at the Row for letting us have more or less free reign when it came to nails in the walls and posts, as well as temporarily moving signs. People began to show up right after 6pm, and the crowd fluctuated, but was also at times quite large. We're absolutely thrilled that we had such a great turnout and response to the work on the walls. 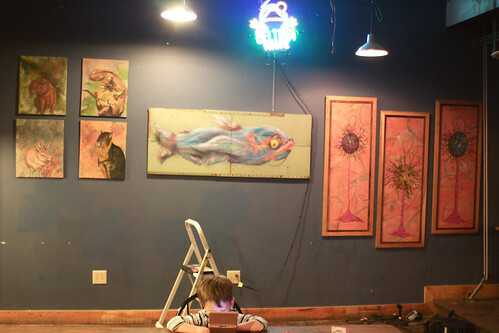 I believe that nearly everyone sold at least one painting, and we even bought GOO's catfish painting ourselves. Whenever we get our own gallery space here in town, you can be sure we'll have it on display as part of our permanent collection. We also had Floods play a short set early on in the night. 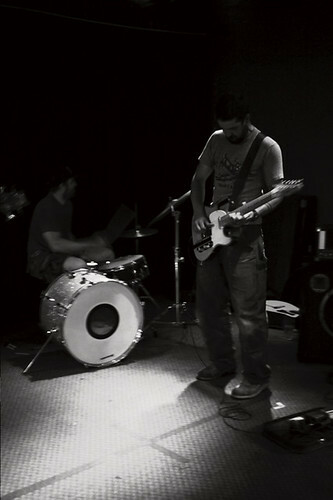 GOO, Butchard M and Shaun Carrier comprise the band, and the crowd seemed to dig their instrumental fuzz-rock. We are looking forward to doing more events like these, and Machinery Row was absolutely fantastic to work with. You can see a few more photos of the event on Tyson Habein's flickr page, and we may put up others soon. 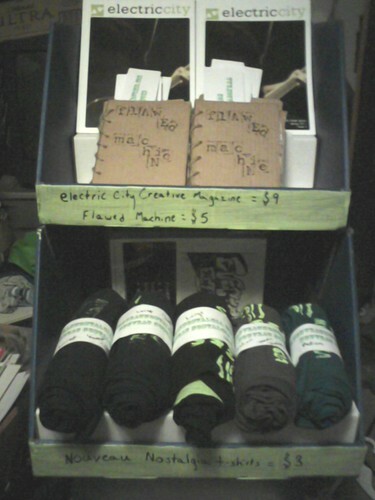 Also, we still have a few copies of the magazine ($9) and FLAWED MACHINE ($5) left, so if you're local and want to save yourself the shipping, shoot us an email at electriccitycreative AT gmail DOT com. 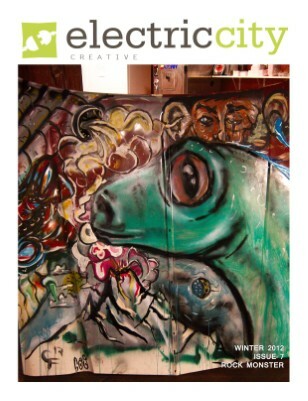 Electric City Creative is an arts event promoter, party-maker, and publisher of a currently hibernating magazine. Sponsor of Magnificent Seven: An Arts and Culture Showcase. Edited by Sara Habein, Managed by Tyson Habein. 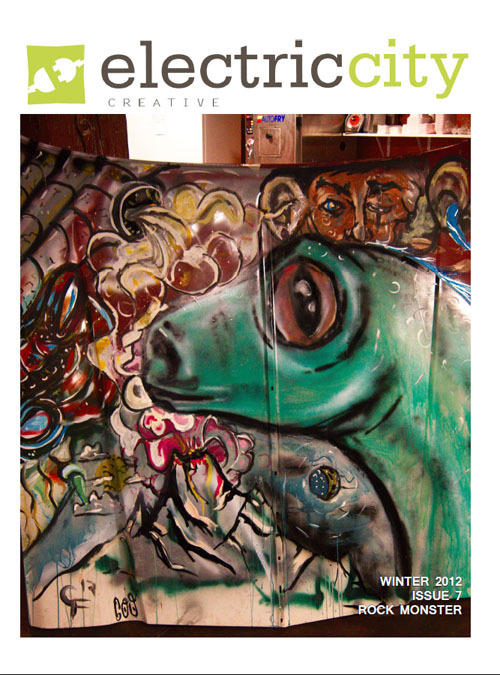 Did you know you can buy print editions of ECC? Electric City Creative is a Habein Studio Production. All copyright remains with respective authors. Awesome Inc. theme. Powered by Blogger.